Do you know someone looking for a part-time job? 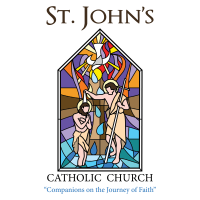 St. John’s Catholic Church is looking for a part-time Volunteer Coordinator/Office Assistant to work up to 20 hours per week. Starting pay is $12+ depending on experience. Good communication skills required. Duties include maintaining a volunteer database as well as scheduling volunteers for various events including Liturgical schedules. Experience using Microsoft Publisher, Excel, and business software required. Must be able to use the following to create and promote events: our website, online volunteer applications, email, and social media. Work with the staff as a team member to cover regular office hours (Monday through Friday 9 am – 4 pm). Assist with financial duties, special mailings, projects, or parish hall events. This position requires the flexibility to attend an evening meeting or to help with weekend events as needed. Please send your resume to St. John’s, P O Box 185, Adel, IA 50003 or you may pick up an application in the lower level. Apply by April 15th.